LAUSANNE, Switzerland, December 5 — The World Baseball Softball Confederation (WBSC) has officially launched a new global initiative, WBSC Mini, targeting the long-term expansion of baseball and softball’s worldwide population. WBSC Mini Baseball Softball is a small, safe and fun version of the game, intended to be used to introduce boys and girls (6-10 years old) to the sport and develop basic skills that can be applied to all baseball and softball disciplines. The ball is soft (with baseball and softball sizes available), and hitters use a batting-tee. The kit is lightweight, and the field-of-play is easy to layout with plastic bases. WBSC plans to distribute Mini Baseball Softball starter kits and instruction manuals to schools, sports ministries and other relevant bodies worldwide. WBSC is the only international sports federation that stages World Cups as young as the Under-12 and Under-15 age categories. WBSC recently presented Mini Baseball Softball, including a new promotional video, to media, government officials and sports officials in Beijing. 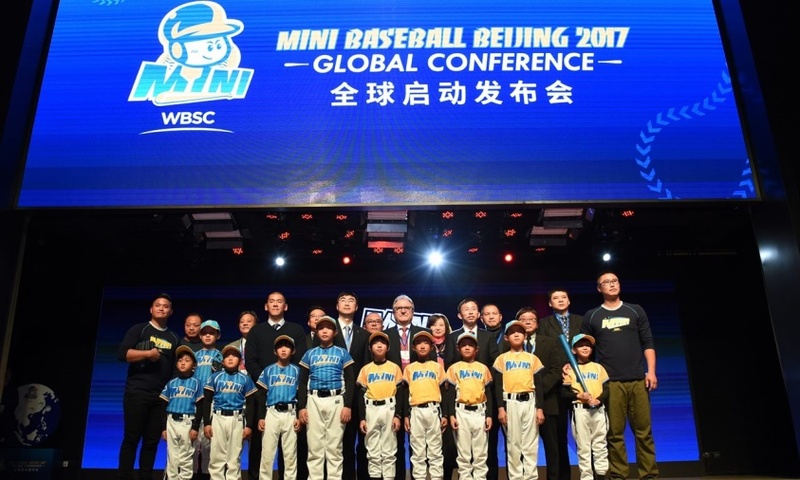 The first phase of the Mini Baseball Softball initiative will target China, Hong Kong, Macao and Taiwan through the collaboration of the Baseball Federation of Asia (BFA) and Chinese Taipei Baseball Association (CTBA), alongside partners YY Sports, China’s biggest sports chain, and PCG Bros, one of the largest sports marketing firms in Chinese-speaking Asia. Taiwanese Major League Baseball (MLB) players Tzu Wei Lin (MVP of the WBSC U-18 Baseball World Cup 2010) and Tampa Bay Rays pitcher Chih Wei Hu (WBSC U-16 Baseball World Cup 2009) have been named WBSC Mini Ambassadors to help launch the initiative. Following the initial launch in 2018, WBSC Mini will be promoted in other high-potential territories, while also exploring the launch of new WBSC Mini U-10 international competitions and friendlies in 2019.